Acrylic, superbreathable, extrawhite, opaque and high covering water-based paint with a nice citrus scent. Product included in the tinting system “GeoSystem”. It is appliable on all interior and exterior wall substrates when they are protected from atmospheric agents. 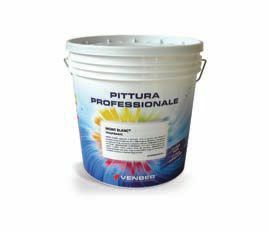 Acrylic, high covering, low viscosity product. It has a nice citrus scent and in two coats it covers black substrate.